Get exceptional computing strategies from the leading IT company in Gambrills, MD, Phoenix Computing Strategies. We are the technology experts you can trust. 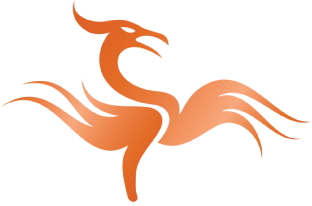 Our Phoenix logo reminds us that we’re here to find that balance in technology and never be willing to settle. In order to deliver the best results and make our own company successful, we’re ready to learn from the past and create better, more innovative solutions day after day. Sometimes that means using an existing technology in a new way. Other times it means completely changing our approach to a problem or opportunity based on new requirements or new capabilities. We have a growing base of enthusiastic clients who are getting real world results from our relationships, and that is exciting. Long-term problems vanish, broken or non-existent functionalities come on-line and there is a renewed ability for businesses to focus on their ‘real’ job. We’re not here just to sell you some services and hope for the best. In order for us both to be successful and profitable, we need to provide the best service out of the gate, and show off why our services are worth the cost. When we get better terms from a vendor, or employ a new technology for our work, we often go back to our clients and adjust their costs down. We keep our relationships profitable, but we’ve actually had clients express feelings of guilt when we keep giving them more and, over time, bill them less. For more information about our technology consulting company, contact our office. Our friendly representatives are here to take your call. We are happy to provide details regarding our offered services. We look forward to doing business with you.